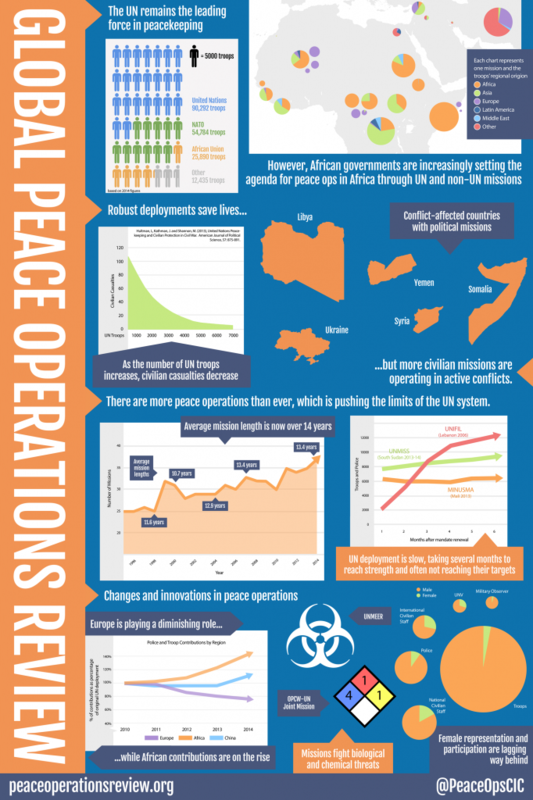 The last two years have seen a surge in peace operations. 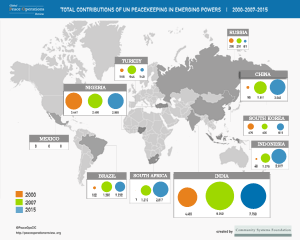 As the data in this review shows, UN deployments grew by 8.5% in 2013 and 2014 to involve over 100,000 soldiers and police officers. In the same period, NATO drew down its presence in Afghanistan but the number of personnel deployed by other regional organizations – primarily in Africa – leapt by 60%. There has also been a proliferation of political missions and special envoys dealing with conflicts: the UN and regional organizations appointed over 20 new high-level mediators in the last two years to deal with crises from Burkina Faso to Ukraine. The first edition of the Annual Review of Global Peace Operations, published in 2006, opened with a statement that “the start of the twenty-first century has seen the resurgence of peacekeeping as a strategic tool.” The UN and its partners had recovered from the disasters of Srebrenica and Rwanda to mount a new generation of operations from Timor-Leste to Liberia. 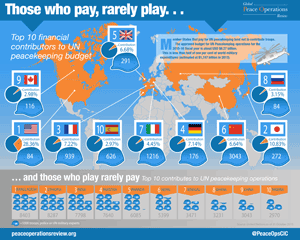 It was possible that this was a temporary phenomenon, but the Annual Review correctly predicted that this would not be the case: “there is every reason to believe that the demand for effective peacekeeping will rise, not shrink, in the years ahead.” Similarly, the first edition of the Review of Political Missions in 2010 argued that civilian crisis management operations “are a diverse tool, and demand for them is likely to increase.